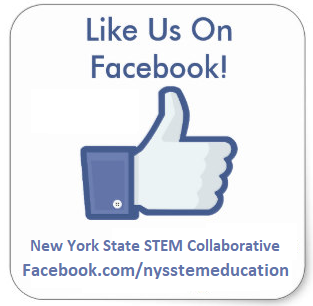 External STEM Website Links – NYS STEM Education Collaborative, Inc.
NYS STEM Quality Learning Rubric (PDF) – developed by a joint effort of our NYS STEM Education Collaborative (NYSSEC) and the Empire STEM Learning Network HUBS. FREE Engineering Technology Simulations – Each simulation can be embedded into your online courses or used in the classroom. Use, Modify, or Share for free under the Creative Commons license. NEW! Graduate Degrees in Cyber Security – A wealth of information on pursuing a graduate degree in this crucial new field. The STEM School Study (S3) – examines how STEM schools define themselves, the strategies they use, and the student experience. Switch Energy Project – The Switch Energy Project is a nonpartisan effort to build energy awareness and promote efficiency. The project includes a feature length documentary, the world’s only video librarydedicated to energy and a soon-to-be-released K-12 video and companion curriculum program co-developed by NEED.org. Watch the trailer for Switch here. The Switch Education Edition DVD is specially designed for classroom use and features the full documentary, chapters categorized by resource type and energy issue to pair with curriculum, as well as a Discussion and Learning Guide created with innovative ideas submitted and tested by teachers. It includes discussion questions, ideas for incorporating Switch web videos into coursework, resources for leading a campus efficiency drive and more.Shown at movie theaters and film festivals across the country, as well as at over 300 universities, Switch features exclusive interviews with the world’s most renowned energy experts from government, industry and academia, as well as visits to the energy facilities never before seen on film. Educators can order a free copy here. If you wish to request a bulk order for a conference or teacher training session, please email recklund@arcosfilms.com. (PDF) Engineering in the K-12 STEM Standards of the 50 U.S. States: An Analysis of Presence and Extent. 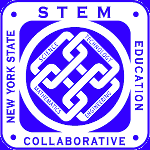 STEM Magazine – S.T.E.M. Magazine is a publication of the Carley Group LLC. Wayne Carley is the publisher and senior editor for all content in S.T.E.M. Magazine. YouTube’s Education Channel – scrubbed of offensive material. National Environmental Education Week (April) – Environmental solutions for the future can begin with you! Masters of Gravity is an example of how Western Reserve PBS is helping educate Ohio’s youth. Scitable is a free science library and personal learning tool brought to you by Nature Publishing Group, the world’s leading publisher of science. Change the Equation pledges to create widespread literacy in science, technology, engineering and math (STEM) as an investment in our nation that empowers us all. Green Design Lab – The GDL introduces students to hands-on real world experience, support the development of creative thinking and problem-solving skills, and turn students into advocates for sustainability in their schools and communities. Engage NY – Have questions about Common Core standards, data-driven instruction or teacher and leader effectiveness? This is your one-stop shop. The 10 Best STEM Resources – from the NEA website. PBS KIDS’ Design Squad Nation – Design Squad introduces students to engineering by offering STEM-related videos and a community for kids/teens to get inspired and share creative ideas. We also have a Parents and Educators section with STEM guides, lessons and classroom-ready resources. A multimedia package developed by public television station Western Reserv e PBS, consisting of 8 instructional television programs, CD-ROM activities, DVD, Web site, and a teacher’s guide. Designed, developed, and classroom tested by teachers in Northeast Ohio.The lessons are based on the Soap Box Derby, an American institution that intrigues youngsters. Funded through a grant from the Ohio Educational Telecommunications Commission in support of Ohio SchoolNet, Masters of Gravity is an example of how Western Reserve PBS is helping educate Ohio’s youth. Graduate-School.PhDs.org/education-index. This is a comprehensive and informative resource that systematically sort out the available undergraduate and graduate programs available today in the U.S. including online programs. PBS – Nova Series: “Making Stuff” An amazing look at current technologies shaping our world. Also viewable online. From the SouthEast Education Network (SEEN). A 3-part article by HAYES BLAINE LANTZ, JR., ED.D. STEM Education: What form? What function?